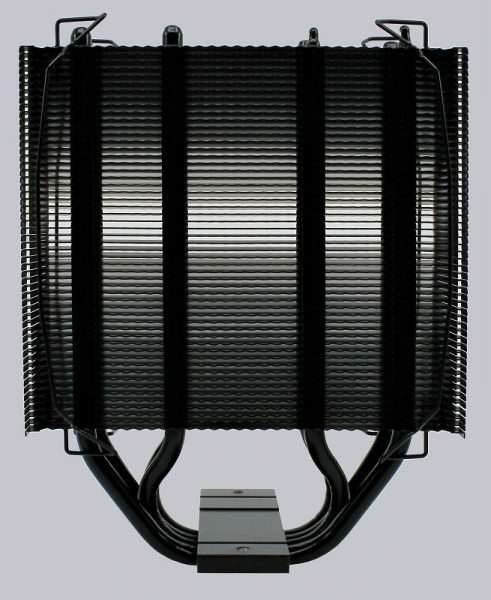 The Arctic Freezer 34 eSports DUO is a heat pipe tower cooler with 4 heatpipes. The push / pull configuration makes it look pretty sporty, matching the name “Freezer eSports DUO”. From above we can see the Arctic logo on the completely black radiator. Due to the consistent black color, the Freezer 34 eSports DUO looks very noble. The direct touch heatpipes on the radiator base are protected from scratches with a foil. They are well polished and the gaps between the individual heatpipes are very small. It can already be guessed that the support surface will not cover the entire heatspreader of an AMD or Intel consumer CPU. 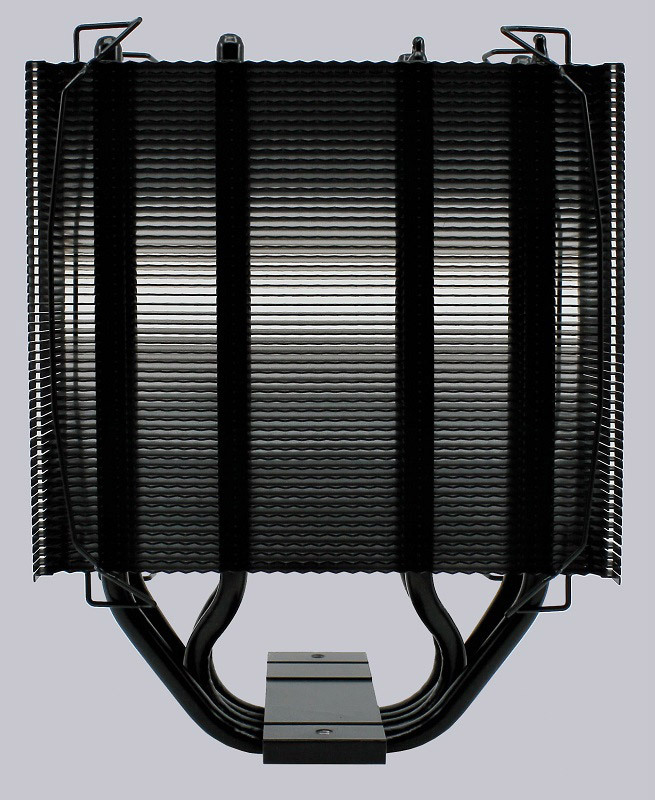 The fans can be easily removed thanks to the retaining clips. So you can easily see how closely the individual fins of the cooler lie down together, and it makes the adjustment to the print-optimized fans recognize. 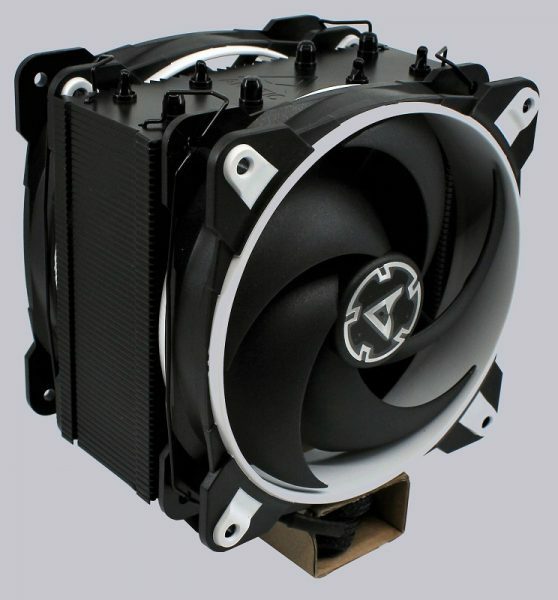 The fans are black and white in our test, but Arctic offers more color options (white and red at the time of the test). The white or colored elements are made of rubber and on the front is under the protective film as usual the Arctic logo in metallic look. 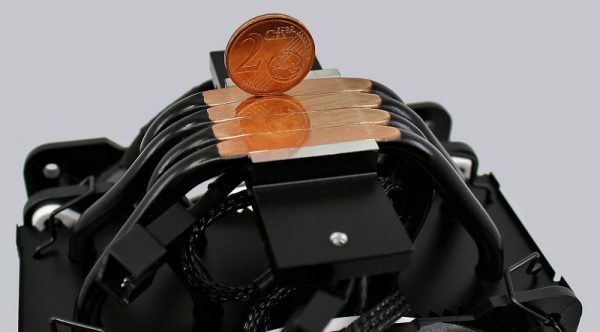 A practical Arctic-typical feature are the fan cables, which also bring a PWM socket, in order to operate several fans on a motherboard connection. For even more details on the “BioniX P” fans, we recently released a separate Arctic BioniX P review. 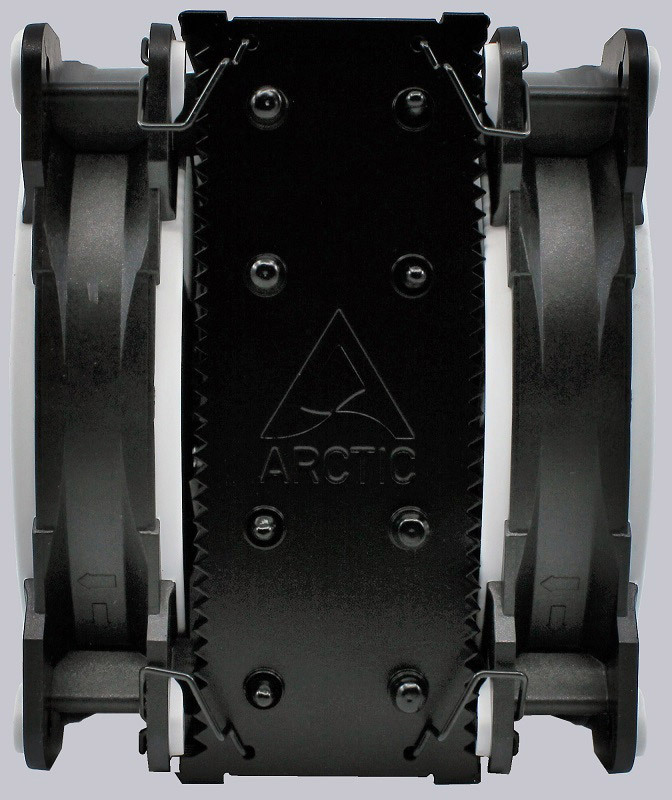 Arctic has really implemented many innovative ideas with the BioniX fans to achieve exceptional smoothness and virtually no vibration. Also from the Arctic Freezer 34 eSports DUO we have again created a 360 ° view, so that no detail is lost.